Commercial, Mixed Use and Sectioned Strata Corporations - GST - C&C Property Group Ltd. The following is intended to benefit interested readers by promoting discussion and should not be construed as legal or tax advice. GST is generally required, by the Excise Tax Act (“ETA”), to be collected by a Strata or a Section on Fees for Commercially used units, if the total Fees being assessed to these Units exceeds $50,000 in a single year. In this situation the Strata has lost the benefit of the two provisions that can exempt it from charging GST: Schedule V, Part 1, Section 13 of the ETA (residential strata unit fees as a tax exempt supply), and the Small Supplier Threshold ($50,000 for a non-profit entity). For these purposes, Contingency Reserve Fund contributions and Special Levies are considered “Strata Fees”. Therefore if the total assessed to Commercial Units exceeds $50,000 one year as a result of a one-time Special Levy, that Strata is required to register for, collect and remit GST that year and for subsequent years, on all fees assessed to Commercial Units. Assuming the threshold is not again exceeded, once the Strata completes a full subsequent year of being back below the threshold, it can then act to de-register for GST the following year. The GST requirement inheres to the individual Units of a Strata, and not to the Strata as a whole, though the latter has responsibility for compliance. In the case of a Sectioned Strata, the Commercial Units are being assessed by more than one legal entity; the threshold is tested independently for the assessments being made by both the Strata (for common expenses) and by the Section (for Section-only expenses). One or both of the entities might be required to register and administer GST. Once a Strata or Section is collecting GST, the question of Input Tax Credits (“ITC’s”) arise. These would pertain to the portion of GST being paid on expenses that relate to the GST being collected and which can be claimed to reduce the net tax that must be remitted to the CRA. Nobody would dream of choosing not to do so, since it is so clearly in the better interest of the Strata financially. However, one must work hard to see how, if at all, full compliance with the Strata Property Act (“SPA”) can also be maintained at a typed, mixed-use strata corporation. The GST that might have to be added to Strata Fees assessed to Commercial Units is not part of any budget or revenue stream. 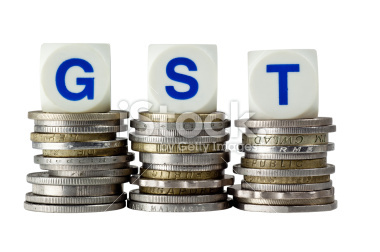 However the GST being paid on the budgeted expenses, to the extent the budget ignores it, is a quantifiable financial benefit (a segment of “surplus”) that can be attributed to the Commercial Units for whom GST had to be charged. This benefit reduces the fees that are required to meet the budgeted expenses, either of the next year when the actual amount can be referred to, or in estimation for the current year through a variety of number crunching techniques. This benefit would be distributed in the budget process to each Unit on a proportionate unit entitlement basis. As long as the Units it is being distributed to are only Commercial Units that remit GST to the Strata, that is fine, according to Clark Wilson. However, Section 99 of the Strata Property Act requires all Unit’s contributions to be calculated in reference to their proportionate unit entitlement applied to the total contribution. Budget surpluses, including any benefit from claimed ITC’s, must be dealt with in accordance with SPA Section 105. Without paying for a specific legal opinion, we have not been able to answer this question. Who wanted this? It is well known that paying GST on a Strata fee makes no difference to a Commercial owner who is a GST registrant and claims the entire amount back on their own remittance. We have discussed here how the GST is of no financial benefit to the Strata, who only acts as a collection agent. Even the CRA gets no more than a new flow of net GST that is offset by reduced remittances elsewhere in the economy. It is not difficult to understand why many Strata Corporations choose to fly under the radar and hope for the best. In a blurred regulatory reality, the best interest of the Strata is sometimes at odds with strict compliance of all applicable laws and principles, and the best legal advisors in this industry may well advise that the former takes legal precedence. But, unlike the SPA, the Excise Tax Act comes with a police force (in the form of the CRA) and codified set of penalties. GST on Strata Fees “can” be assessed retroactively, but any ITC’s that may have been claimable against it “fall off the table” after a limitation period. Those credits, in addition to administrative penalties that “may” be avoidable in a situation resembling a voluntary disclosure, provide an incentive to moving toward ETA compliance (charging GST), particularly when there is no financial disadvantage to the great majority of Commercial owners who would be affected.